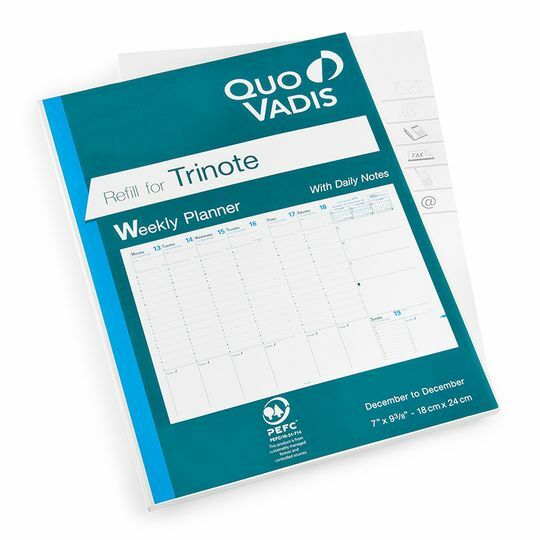 The Quo Vadis 2019 Trinote Planner Refill (#48) is a desk-sized weekly planner with notes. 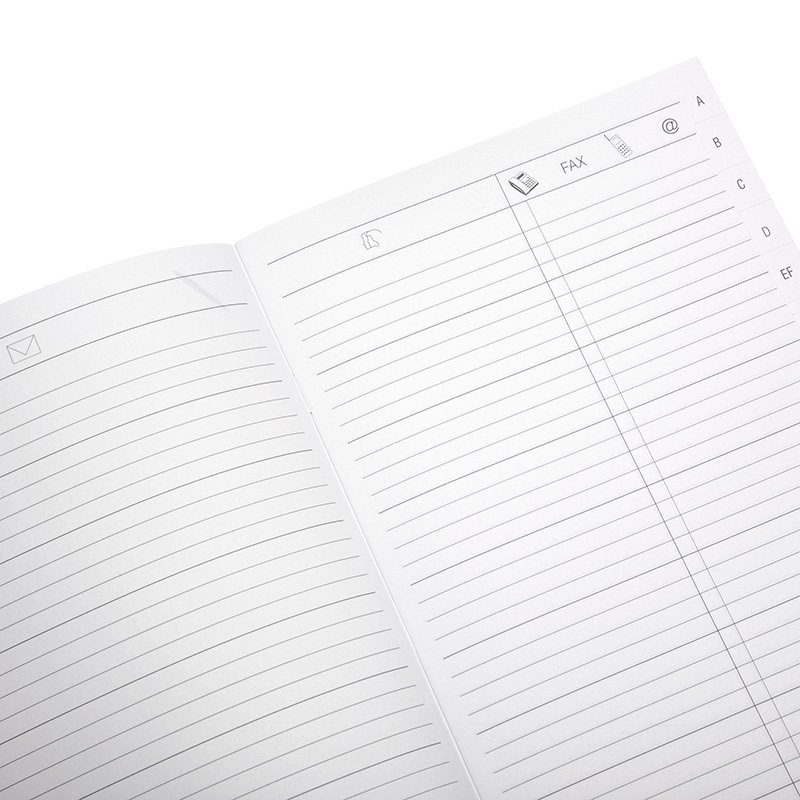 This thoughtfully designed datebook runs for 13 months (December to December), allowing you an extra month to shuffle all your reminders, appointments and plans to the new year. Inside, you'll find the classic Quo Vadis layout: each week stretches across two pages in a vertical format (Monday through Thursday on the left, Friday, Saturday and a smaller Sunday on the right). The daily schedules run from 8 am to 9 pm, and allow ample room for priorities and notes. The right page also provides generous spaces for phone/email/to do/pay-receive reminders. You'll also find annual planning calendars, receipt/payment pages, plenty of maps and a detachable address book. The sumptuous 90gram Clairefontaine paper is silky smooth and acid free, appropriate for fountain pens and eco-friendly. 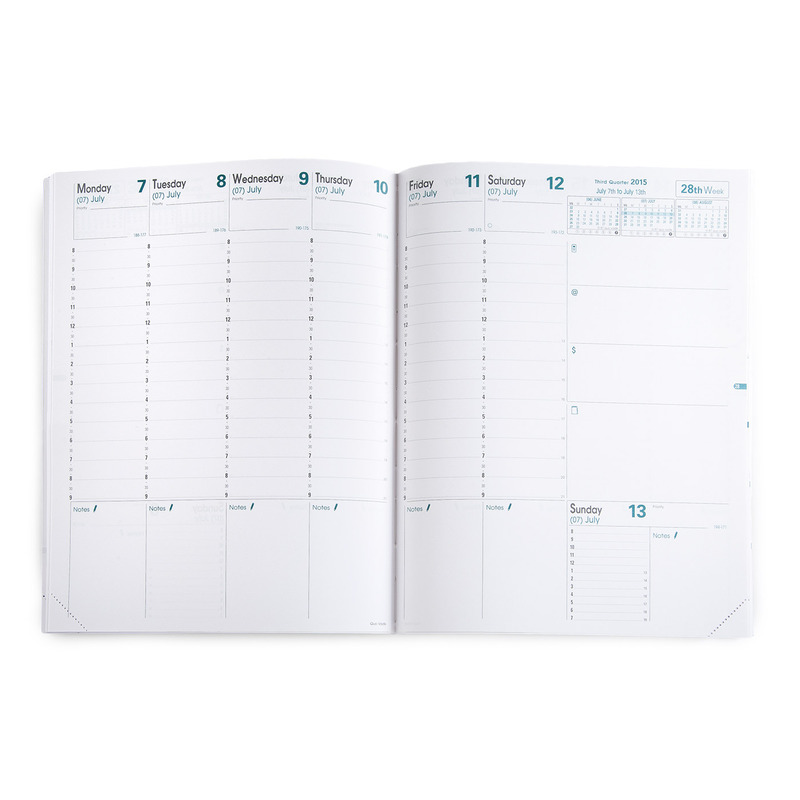 The sewn binding on this Trinote Planner Refill lays flat when open and it slips easily into your favorite Quo Vadis or Exacompta cover. Holiday planning stress? Not this year!